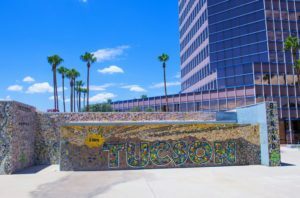 A recent study called WalletHub has found that Tucson comes in 8th place out of 100 cities in America that is the best for recreation. The WalletHub study assessed the recreational facilities of different cities throughout America. They took different factors into consideration when evaluating each city. The factors included studying the costs of each facility, as well as the quality of the cities’ parks, and the weather too. The city of Tucson came in 15th place for how great the bike rental facilities are, according to the study. Over the past few years, more and more locals are biking around town. A new loop, The Chuck Huckelberry Loop, welcomes bikers, pedestrians, and pets along with an equestrian path for horse riders. El Tour de Tucson has thousands of people that cycle and participate in their event once a year. Large numbers of people go to Tucson once a year just for the event! Coming in 52nd place for the awesome music venues, the WalletHub study shows the best venue in the city, Rialto Theatre. The theater has been around for about 100 years! Another part of the study looked at were the tennis courts of Tucson. Although the city did not rank too high for its music venues, it did pretty well for the quality of its tennis courts. The study claims that Tucson comes in 25th for the tennis courts in the city. There are lots of different tennis centers in the city. Reffkin Tennis Center is a great one that caught the attention of the researchers. Tucson Jewish Community Center was also another one they had seen and liked. A lot of the high schools contain tennis courts, as well as the University of Arizona. One thing they did very well in was swimming pools! Not a lot of cities offer swimming pools to the public. During the dry and hot summers, it is the best place to spend some time with friends and loved ones. Tucson came in 9th place for how great the swimming pools are in the city. Clements Center is one the study had mentioned. Lastly, Tucson is a great city for how low the cost of movies is here. Tucson is in 2nd place for its cheap movie prices. Some of the city’s best are The Loft Cinema, Roadhouse Cinemas, and Century Theaters at Tucson Marketplace. So, with that being said, Tucson is a great city to live in and visit because of all the great things this city has to offer, great prices and great weather.